10 Reasons to love: Dave Matthews, Bartender – music waffle. If you can’t think of 10, you don’t really love it. The rather eerie guitar slide intro, which resembles whale song at times. The vocal ins and outs of the song. Dave’s vocal cries at the start and finish at times sound like cries of pain or grunts of frustration. At 3:00 he hits a note that goes right through me & makes my soul shudder. The Venue. I mean WOW! Radio City Music Hall looks as classy as an opera house, but feels close and cosy at the same time. Dave looking around in a slightly awestruck way at the crowd. There are elements of blasting the note and softening the note, the light and shade of storytelling. The religious connotations of the song. Dave seems to confess his fear for his own mortality to the father (God-like) figure of the Bartender. The wine the bartender serves could be a method of salvation or the path to betrayal – he refers to both Jesus and Judas. 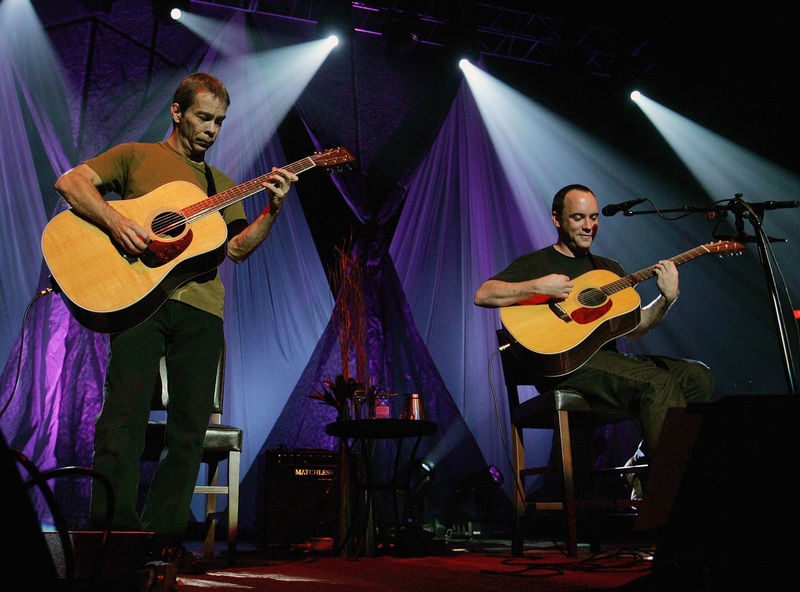 The chemistry between Dave and Tim – they just seem to sense what each other is doing, with occasional glances and mid song chat. “This is my very very good friend, my dear friend Tim Reynolds.” Awww. I love a man who drinks from a tankard. Previous Album review: Arctic Monkeys AM. More hooks than a fisherman’s tackle box.